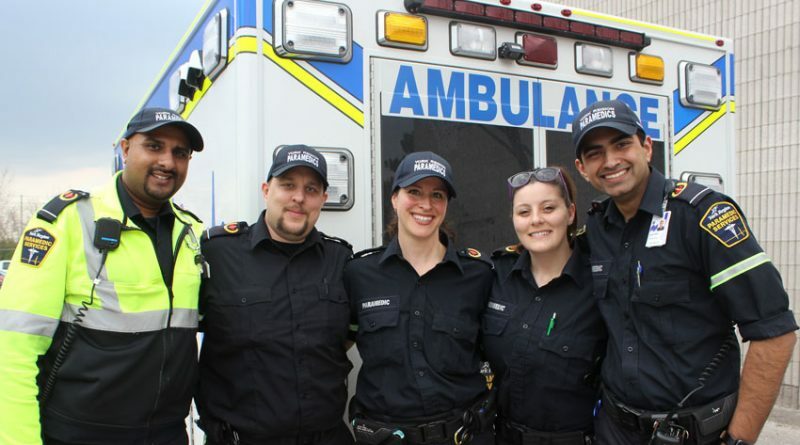 National Paramedic Services Week, May 26 to June 1, celebrates the role paramedics play within the community. The annual event also raises awareness of safety issues, injury prevention and what to do in the event of an emergency. The York Region fleet is made up of 64 ambulances, 22 paramedic response units and 16 support vehicles. A team of more than 550 paramedics provide emergency response and community care to residents and visitors in the region, 24 hours a day, seven days a week, 365 days a year. In 2018, local paramedics responded to 82,747 calls. The paramedic profession has evolved and changed a lot over the past 25 years. The skills and training is stronger than ever. Paramedics must undergo a 450-hour, clinical-field placement before they can even apply to York Region Paramedic Services. “Paramedic work used to be limited to advanced first aid and patient transport, which meant that fewer medical interventions could be performed on the scene or en-route to hospital,” says Spearen. “Now, in 2019, all paramedics are expected to undergo extensive training via a two-year college diploma or four-year university degree; which encompasses courses and lab work in anatomy and physiology, pharmacology, pathophysiology and trauma care. Paramedics bring a wide range of characteristics to their role. “One thing that usually predicts career success is having a dedicated and compassionate approach to the range of work that is required,” said Spearen. “A good paramedic can respond to both the major incidents and to simpler calls with the same inquisitive mind and eagerness to help patients. 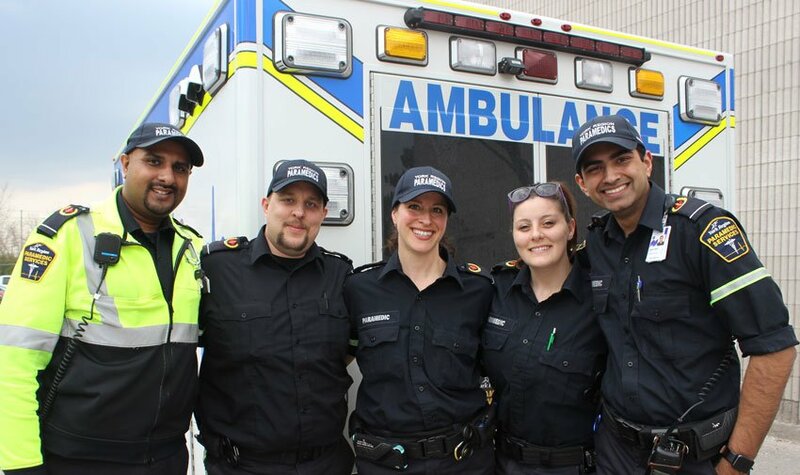 Photo: York Region paramedics (from the left) Nadish Dhukai, Michael Mahuda, Andrea Zanini Hooey, Amber Reid and Abbas Alibhai will be celebrating Paramedic Services Week, from May 26 to June 1.